WE ARE REDEFINING MENSWEAR. CROWDSOURCED AT WHOLESALE COST. 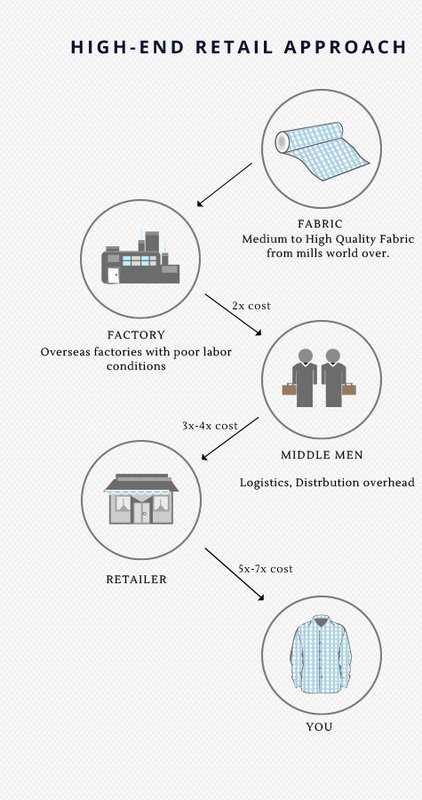 HUCKLEBURY is introducing finest quality 100% Egyptian cotton shirts like high-end retailers and at only $78 and successfully completed a campaign on Kickstarter recently. 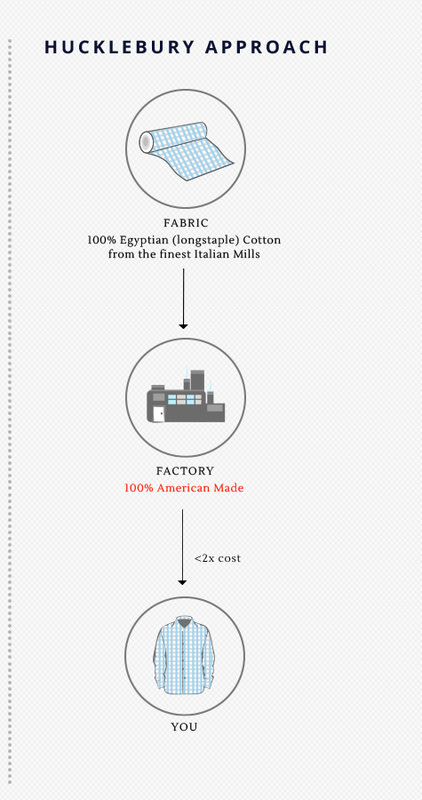 Our shirts are 100% American-made and backed with a 365 days guarantee. Shipping is always FREE within the USA. The fact is off-the-rack shirts tend to look embarrassing with their boxy fits. We’ve reduced excess fabric all over and designed two types of great fitting shirts- The slim fit provides the ideal tailored look, while the regular shirt fits men of all shapes and sizes. 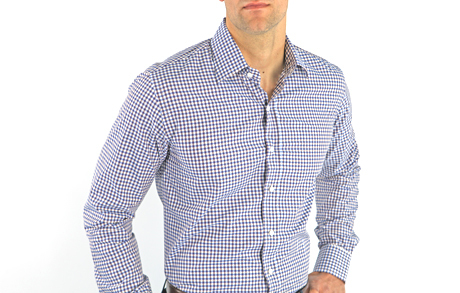 Our shirts are powered by Styku’s FIT technology to give you the perfect fit every time. At 12, Parag spent his childhood seeing his business-minded mother operate a garment factory of 75 people to design, manufacture and export scarfs, schiffons, shorts, and white shirts to brands like Calvin Klein and Marks & Spencer. Later on, he pursued his Masters in Engineering. This is where he learned how to remove inefficiencies in manufacturing using lean and six-sigma. Applying his engineering background and creative skills he picked up from his mother, he set-up Hucklebury. 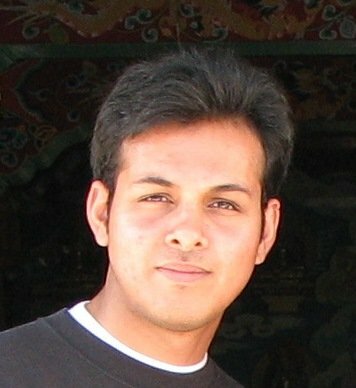 As co-founder, Parag oversees manufacturing & marketing strategies. He is also responsible for turning the fabrics into a finished product. He got his first taste of programming at 8 with QBasic. Since then, he has been playing with computers, robotics and web development. 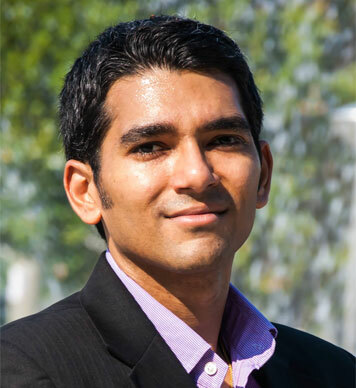 Dhawal fell into entrepreneurship when he was 18 and led his team to create the ‘Push-up Pal’ for a class – a product that was later featured in The New Paper (Singapore). He worked at Qik in 2008 – where he did web development – and was their 5th employee. Qik was later acquired by Skype. His passion for programming and entrepreneurship led him to the opportunity to co-found Hucklebury. He is responsible for all things on the web.